The Nigerian military has raised an alarm over plans by members of Boko Haram sect to attack churches, mosques, markets and other public places. The Army yesterday revealed that the group is recruiting more suicide bombers into the fold to carry out the mass attacks. The Army urged the public to be on the lookout for Boko Haram escapees and report strange movements and suspicious persons in their communities, especially in places of worship, markets, weddings and any other gathering, to relevant security agencies within their localities. The Director, Army Public Relations, Brigadier-General Sani Usman, who made this known in a statement, called on communities to put security measures in place to prevent terrorists from invading their areas. “In the past two weeks, troops of Operation LAFIYA DOLE in the on-going Operation DEEP PUNCH II have inflicted heavy casualties on Boko Haram terrorists and routed them from their various hideouts in Sambisa forest. “Evidently, the fleeing terrorists will want to take cover and begin to filter into isolated communities. 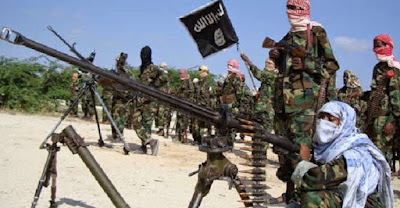 “These defeated Boko Haram terrorists in their desperation to remain relevant, may further resort to employment of suicide bombers to inflict pain and terror on innocent and unsuspecting populace. “In the light of this, communities and peace loving members of the society are advised to be on the lookout for Boko Haram terrorists’ escapees and promptly report any observed strange movements and suspicious persons in their communities particularly in places of worship, markets, weddings and any other gathering to the relevant security agencies within their localities. ALL THE DEADLY Attacks these muslim demons have been launching on innocent Nigerian that did them no wrong and had sent millions to their early graves, what exactly have they really achieved apart from making themselves public enemies and portential candidates for hellfire??? Weddings, market and worship palces are pubs where anyone is free to come, so can we really access people with ulterior motive amongst the crowd? Unless maybe if the govt will install gates with very highly working detective gargets at every public places. And one person goes in at a time just like the banks othewise, it would be very dicey trying to differenciate terrorists from customers or worshippers.